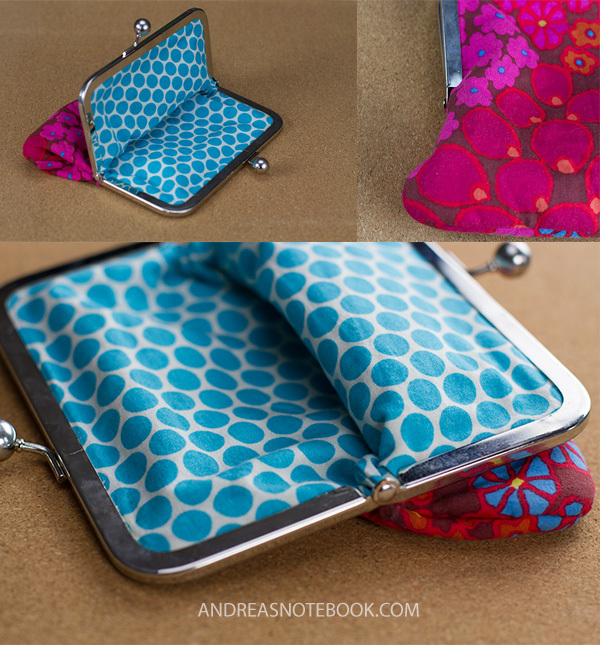 Have you always wanted to make one of these cute little coin purses but were afraid they were too difficult? Put your fears aside! I’m here today to show you how easy these actually are. 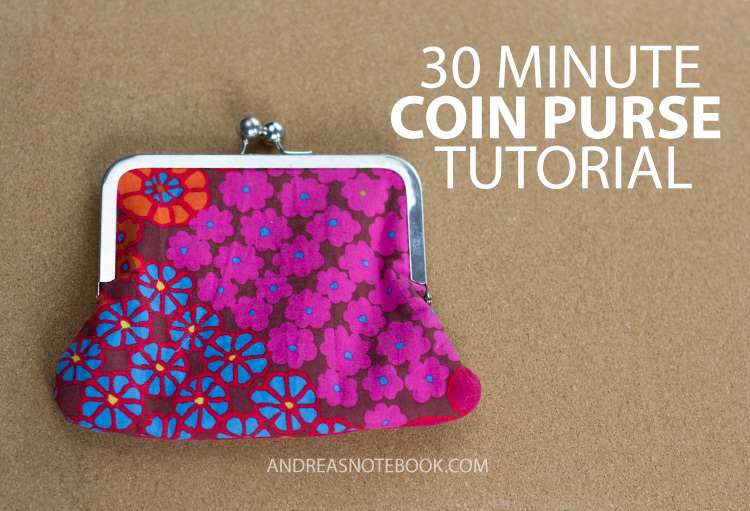 This coin purse tutorial will take you about 30 minutes, start to finish! 2 pieces of fabric. Fat quarters are plenty. Place your purse frame on a piece of paper. Trace around the frame with your pencil, adding 3/8″ around the ouside of the frame for the seam allowance. Continue on to create the shape of the bag. It can be a rectangle or curve out a bit like mine. Whatever shape you want! Make sure to mark the place where the purse frame ends. Cut out your pattern you just drew. 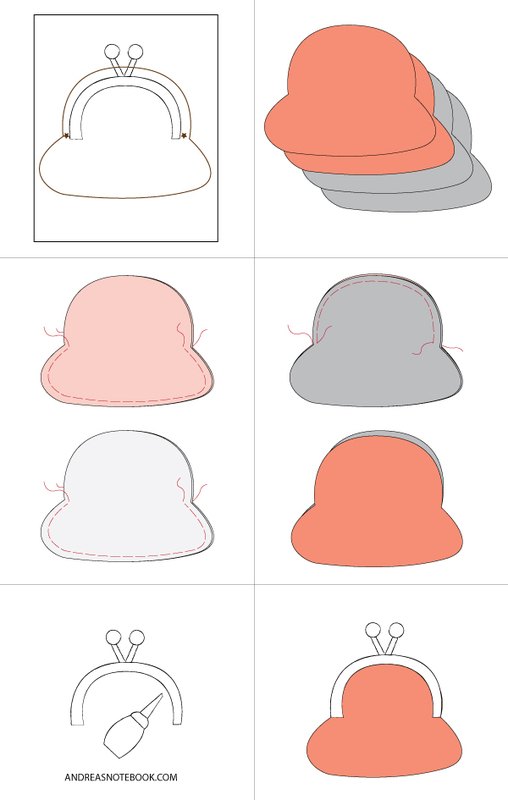 You will cut 2 pieces of each fabric in the shape of your pattern. Mark the place on the fabric where the purse frame ends. Place your outside fabric, right sides together. 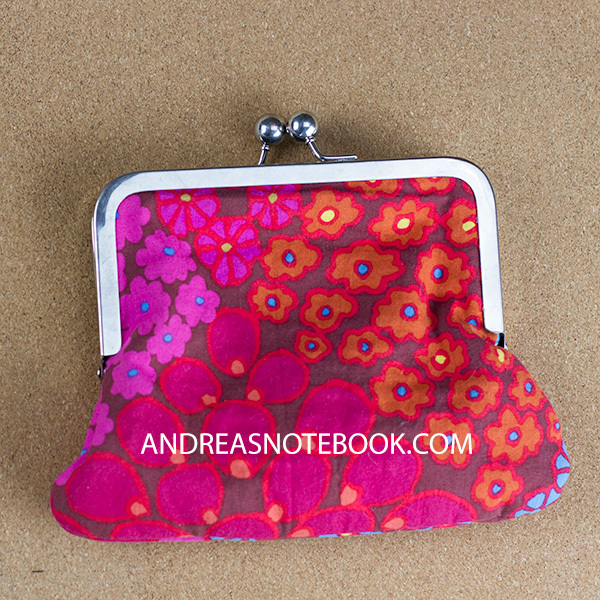 (The duller, insides will be showing) Sew from the purse frame mark to purse frame mark around the bottom. Repeat with the inner fabric. Turn the inside fabric wrong sides out and the outside fabric right sides out. Put the outside fabric inside the inside fabric so their right sides are facing each other. Sew from the place where you had stopped, across the top and stop at the other side where you had stopped sewing. Trim the seam allowance to about 1/8″. Turn the fabric so the outside fabric is on the outside. Press your seams well. Put glue in the grove of the purse frame. Don’t overdo it. You may need a toothpick to even it out. Place the top of the purse into the frame and let the glue set.